Congrats to the winner of the 1912 Pike Place Starbucks card and mug! Thank you to everyone who submitted a valid entry in this giveaway. 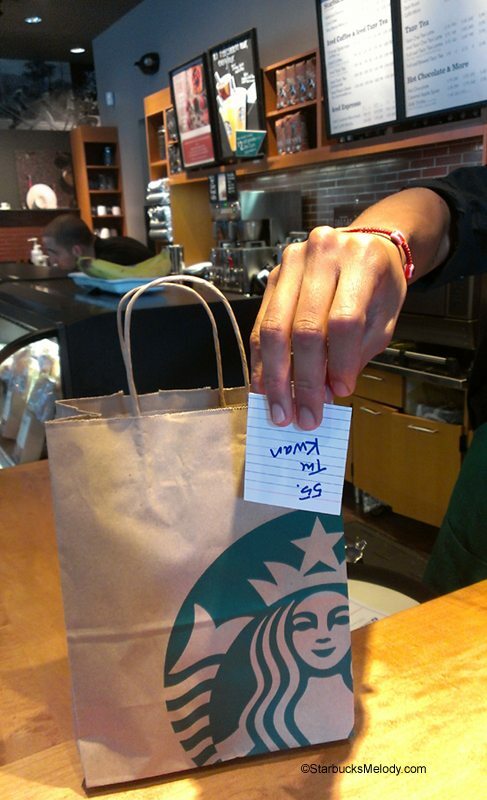 As always, I put all the names on cards, threw them into a Starbucks bag, and asked a barista to pull one out. Congratulations to The Kwan! Please email me when you see this. You can reach me through the “contact” form on this page or by sending an email to Melody at StarbucksMelody dot com. Congratulations The Kwan on such a great giveaway!!! You are a fellow Chipotle vote caster and I high 5 you! @Melody – I can’t believe it, thank YOU!!! @SnowWhite & Leslee – thanks for the kindness!